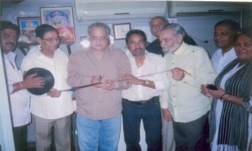 Prestigious Presentation of Cine India Production. Now, when my most ambitious venture ‘Jhansi Ki Rani LAXMI BAI’ is ready to kiss the screen shortly, I take the sigh of relief and feel most satisfied contented as my mission has successfully completed, my dream has turned into reality. 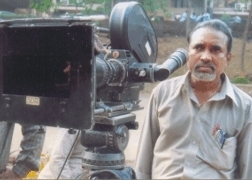 Despite being a maker of small budget movies like Mang Teri Sindoor Mera, Bhayanak Panja, Prait Aatma, Bhayank Tower House, Haseen Daciot, Geeta Mera Naam, Ek Naari Do Roop, Bharosa, Atank Raj, Neend Hamari Khawab Tumhare, Ganga Maiya Ki Saugandh, Virsa Munda-The Black Iron Man. I have been able to complete it in the way I wanted to shape it. For this I have fully utilized all my sources, resources, relations, experience and above all my skill. Jhansi Ki Rani LAXMI BAI, is the story of the bravest Indian woman with strong mind and determination to fights First War Of Independence, against the British Rulers, who wanted her to leave Jhansi. The sudden death of her husband Maharaja Gangadhar Rao, had made this young woman, more strong and solid when she was crowned and became the Rani Of Jhansi. With the armed forces of Jhansi and her own woman wing of warriors, she jumped in the war field, riding on her own horse, she put the reign of the horse in her mouth, and started to fight with two swords, one in her each hand. Like a deathless brave soldier she fought the fierce forces of foreign rulers for two weeks, and sacrificed her life, at the alter of Freedom, and became Martyr, at the age of 22 years, on the darkest day of her life 18th June 1858. She has become the cherished Chapter, in the History of Struggle For Independence. Big set, bigger crowds and biggest canvas of the movie has made it a latest extravaganza of its own kind. I am really proud of presenting this gift to the Indian masses, which has the message of patriotisms and the passage of progress and prosperity.